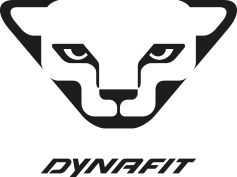 Dynafit is a brand addressed to mountaineering enthusiasts, which has the goal of equipping keen alpine skiers in winter and riders in summer with the most innovative, lightweight and high-quality products. Lightness, speed, performance and technology are the parameters that Dynafit has made its own and which characterize each process and product. Mountaineering is a high-performance sport, and Dynafit is 100% committed to it. Our mission is to support mountaineers with our products, and prepare them perfectly for the demanding challenges of the mountains. 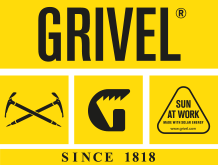 Grivel produces gear and equipment for mountaineering, rock climbing and other outdoor activities. Established in 1818 in Courmayeur by the Grivel family, it is the oldest manufacturer of mountaineering equipment still in existence. It remained a family business for generations. However, the business shrivelled in the ‘70s, when the company found itself unable to fight off fierce competition from abroad. In 1982, Goachino Gobbi and a group of enthusiasts decided that a respected name built on 160 years of tradition, and a location at the feet of Mont Blanc could once more be a recipe for success and a bright future. Today, the company has offices and facilities in Courmayeur, Verrayes in the Aosta Valley, Vivaro in the Friuli region and Chamonix in France. It exports to 26 different countries and is popular with mountaineers all over the world. The company has held GS TÜV certification since 1992, ISO 9001 since 1996 and ISO 1400 since 2004. 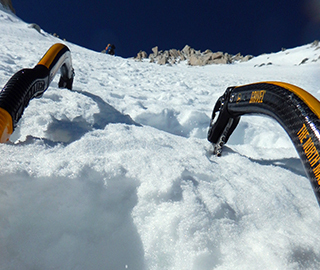 All its safety products (ice axes, crampons, bolts and helmets) are strictly manufactured in Italy. The best athletes in the world, the most prestigious Mountain Guides and rescuers have been turning to POMOKA skins for over 80 years. Over the past decade we gathered plenty of knowledge about snow: leveraging this knowledge for its research and development, POMOCA became undisputed leader in high quality skins. Physicists and chemists, together with textile engineers and athletes, shape the contact surfaces of materials to maximize the skins’ performance in the climb, creating advanced technology for maximum grip and sliding on the snow. In 1888, Jules Baud had a vision: to create an eyewear company that was innovative and outstanding in equal measure. Since then, our family-run company has stayed faithful to this philosophy, making inspired products based on careful observation and boundless creativity. Our constant commitment is to make the best products to help anyone go further thanks to the right protection. But more than just products, Julbo is a state of mind focused on sharing, fun and excitement. Guglielmo and Angelo Levi, descendants of a long line of famous “grapat” of Campodolcino, founded in Aosta the eponymous distillery, the oldest in the Valley, at the end of the XIX. The Sant’Orso Grappa, celebrated as the most famous saint of the region, was named after the ancient village where the distillery was. In 1968, the heir of Giglielmo, Natalina Levi, founded with her husband, the Saint-Roch Distillery, moving the headquarters in Quart. Today Saint Roch, the brand of the Valley’s most famous spirits, combines tradition and quality, also guaranteed by “the proof od authenticity” of the “Saveurs du Val d’Aoste” logo, which protects and promotes the region’s traditional products, certifying and emphasising their character and uniqueness. 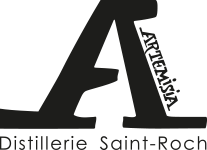 An award-winning company, thanks to its speciality spirits and liqueurs, such as the celebrated “Génépy – Artemisia St.Roch”. Brand that brings together a group of small local producers and businesses that promote typical products of the Aosta Valley, flavors of a unique and extraordinary place in the heart of the Alps and surrounded by the highest mountains in Europe. They use traditional production methods and their products are not found in supermarkets or other large retailers. Tascapan promotes short chain, by selecting the excellence of the territory and supporting rural and mountain communities. 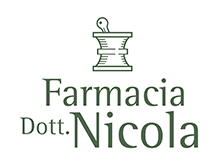 Based in Aosta, Farmacia dott. Nicola is a chemist’s that offers its customers personalized advice, especially concerning natural supplements, homeopathy and cosmetics. Today, its offer also includes a line of cosmetics: Fitocosmetici di montagna dott. Nicola, marketed in Italy and abroad. Next to the Farmacia, the Projet de beauté is functional beauty centre specializing in a specific selection of treatments, some of them especially targeted to sport professionals and amateurs. Sportspeople will be able to get personalised dietary advice through Dr. Attilio Speciani’s Recaller Program.